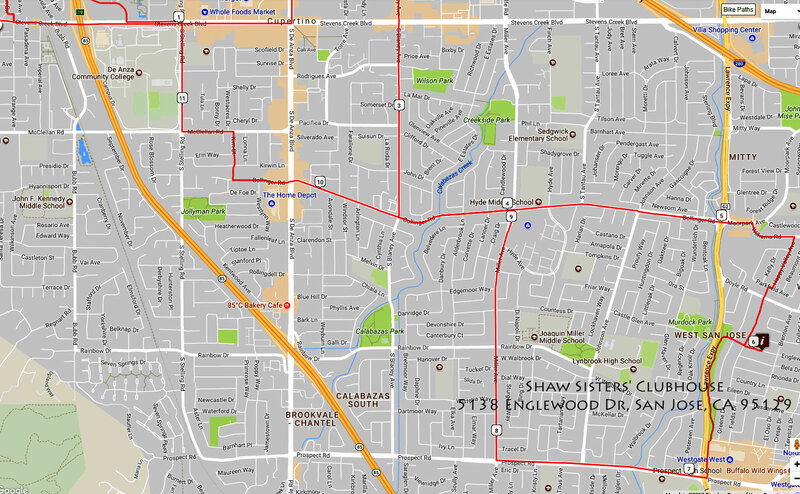 Our Mtn View / Cupertino tour is 21 miles with 5 coop stops. 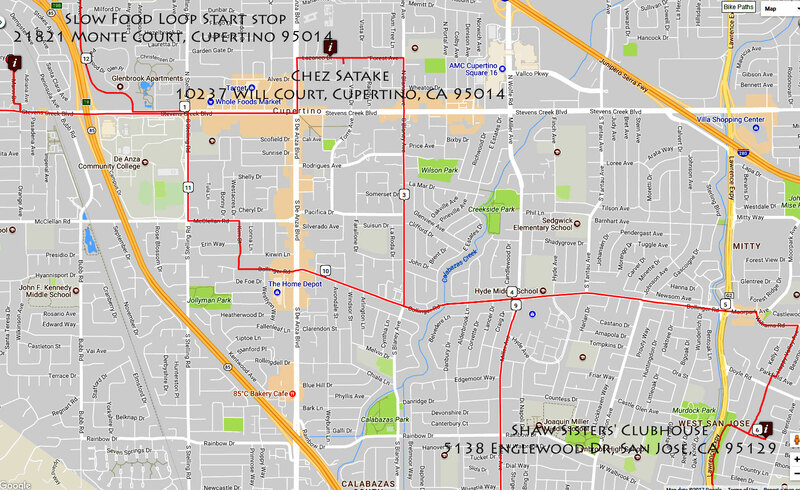 The tour starts at a special “Slow Food South Bay” stop at Joni Sare’s home behind the Cupertino Post Office. You can park your car here (plenty of curbside parking), unload your bike and start your tour here. See details, below, for parking and entering the backyard. Sorry – no chickens. no bees. 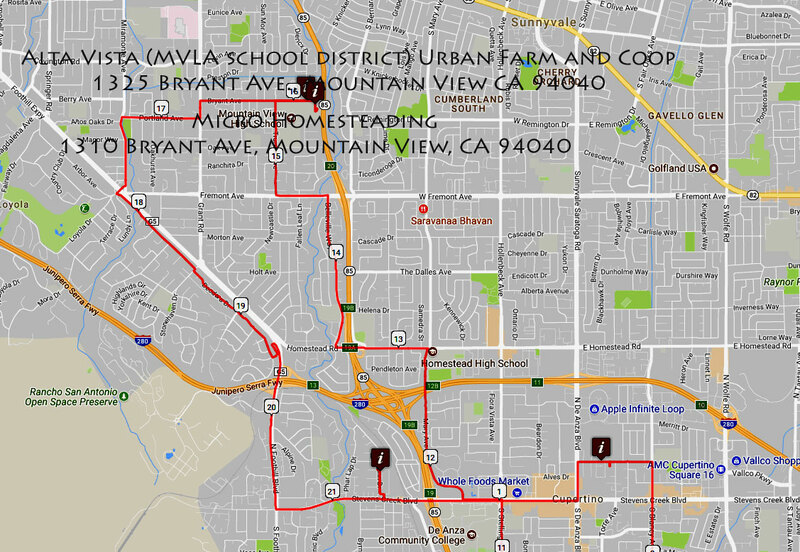 Click on the maps below to view and print them.